Amazon’s Cyber Monday 2017 sale has just lit up and you can avail some epic discounts on the company’s Fire lineup of tablets. Save on a Single Amazon Fire Tablet or Buy 3 Fire HD 8 Tablets and Save $110. Amazon has a pretty solid lineup of tablets that mainly get the job done for simple tasks. Though they run Android, but they’re heavily skinned for things that focus more towards Amazon’s own services. That isn’t a bad thing at all, considering how cheap these tablets are. And Amazon believes that they should be in the hands of everyone. Therefore they are offering some great discounts on its entire Fire tablet lineup. Let’s have a look shall we. Amazon Fire 7 Tablet with Alexa – Regular price $49, Now $29 After Discount. Amazon Fire HD 8 Tablet with Alexa – Regular price $69, Now $49 After Discount. Amazon Fire HD 8 Variety 3-Pack with Alexa – Regular price $239, Now $129 After Discount. 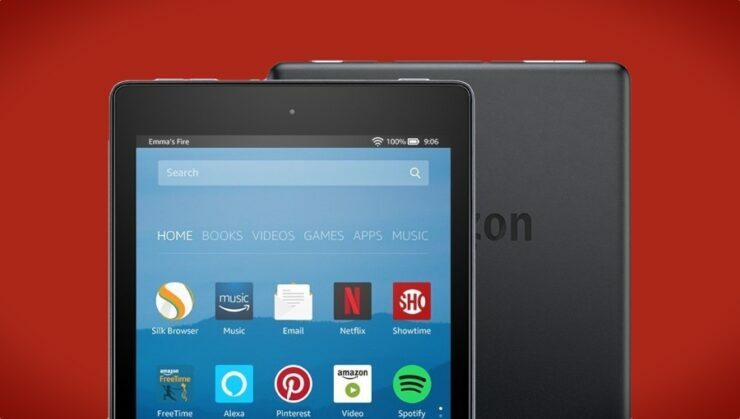 Amazon Fire HD 10 Tablet with Alexa – Regular price $149, now $99 After Discount. Amazon Fire 7 Kids Edition Tablet – Regular price $99, Now $69 After Discount. Amazon Fire 7 Kids Edition Tablet 2-Pack – Regular price $199, Now $129 After Discount. Amazon Fire HD 8 Kids Edition Tablet – Regular price $129, Now $89 After Discount. Amazon Fire HD 8 Kits Edition Tablet 2-Pack – Regular price $259, Now $169 After Discount. As is the case with any other deal out there, this one’s for a limited time only. So if you were hoping to grab yourself a tablet on the cheap with some serious capabilities then Amazon’s sale is something that you should definitely care about. Do let us know which tablet you end up picking.